Christmas has always been loved by Hong Kong people. Although it has not officially entered the month of Christmas, some friends have already begun to think about what Christmas gifts to give to those around them. A well-chosen Christmas gift can make people feel warm in the winter of December, which is probably the unique charm of Christmas. On such a special holiday, the best way to express our blessing is to give a Christmas gift. What should we send on this year's Christmas? Why not try the Preserved Flower Gift! 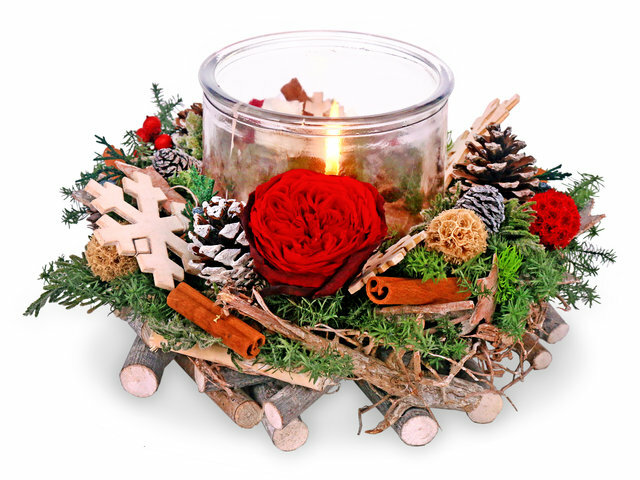 European style Christmas preserved flower wreath candleholder. Designed and made by our professional florist, this special candleholder with imported preserved flowers can be used for indoor decoration to add extra festive delight. The 5*5cm candle in the high-quality glass holder is ready to light up your day with the warmest love. Christmas seasonal preserved flower gift box. 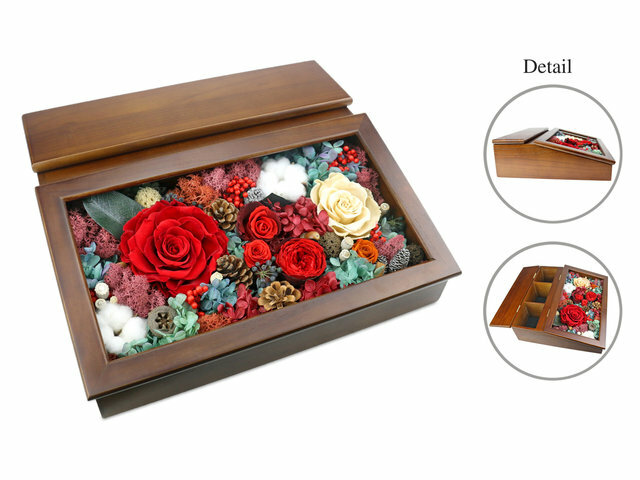 The square glass box with a hinged lid is clear to see through the beautiful preserved flower materials, they are: Japanese and Ecuador imported Carmen red rose, David Austin red rose, two-tone red rose and French imported dark red rose. Apart from these, there also are Japanese imported light Champagne rose, small white rose and some natural dried nuts. The most unique feature of this gift is our handmade small wooden tag saying “Merry Christmas”. This flower gift is suitable for gift giving and personal usage. 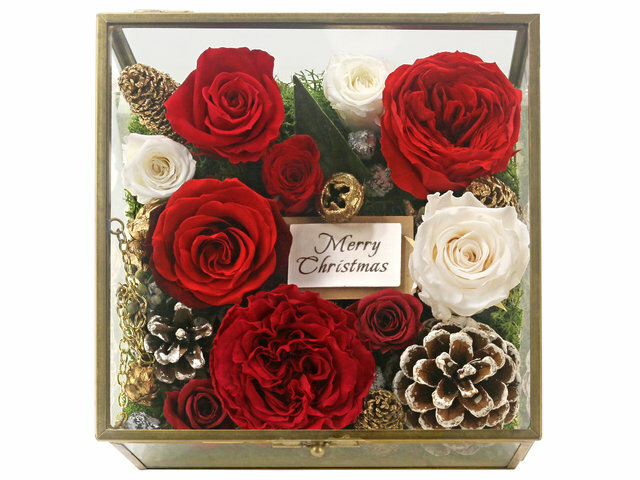 Christmas preserved flower gift box. Handmade by our experienced florist, this unique preserved flower gift is full of Christmas delight. The ceramic Christmas deer holds the wooden greeting board saying Merry Christmas to everyone-a perfect gift for anyone who enjoys this festival. Handmade by a professional florist, which is made of Ecuador imported double color roses, Japan imported David Austin roses, Japan imported Beige roses, Japan imported Various color Hydrangea, etc. This preserved flower wooden box is the perfect gift as an ornament and a storage box for use. Suitable for moms, wives, girlfriends or good friends. Speaking of Christmas, how can we not mention to Christmas tree! Designed and purely handmade by our professional florist, this preserved Christmas tree decoration is the never withered Christmas gift. It is made of various Japanese imported preserved flowers and decorative items, easy to carry and suitable for putting on desk or in the room. The small red pot has a little wooden card carved with “Merry Christmas”. This gift is a nice addition in the festival season. All the preserved flowers can last for one year or more depending on the preservation. 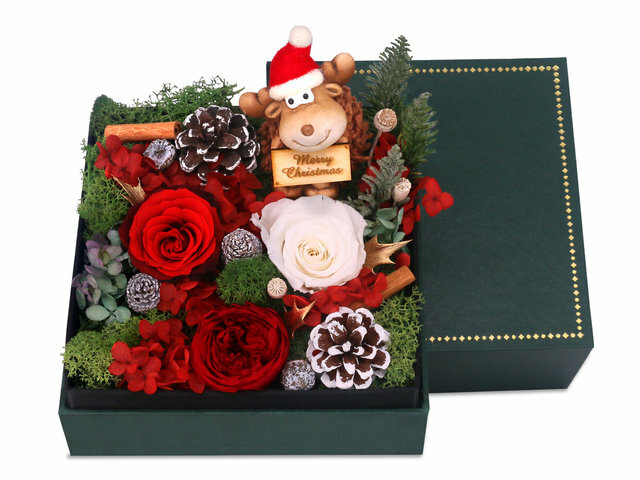 The above is the 5 Christmas theme preserved flower gifts made by Gift Give Boutique Florist. Ordering online to send a sincere blessing to your friends and family! Fortunately to have the warm Christmas in such cold winter. 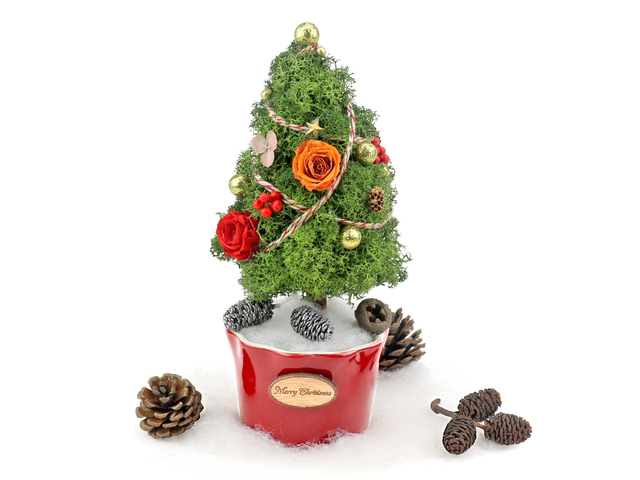 This is a Hong Kong GGB original 'Christmas Flower Gifts Recommended for You' blogpost.